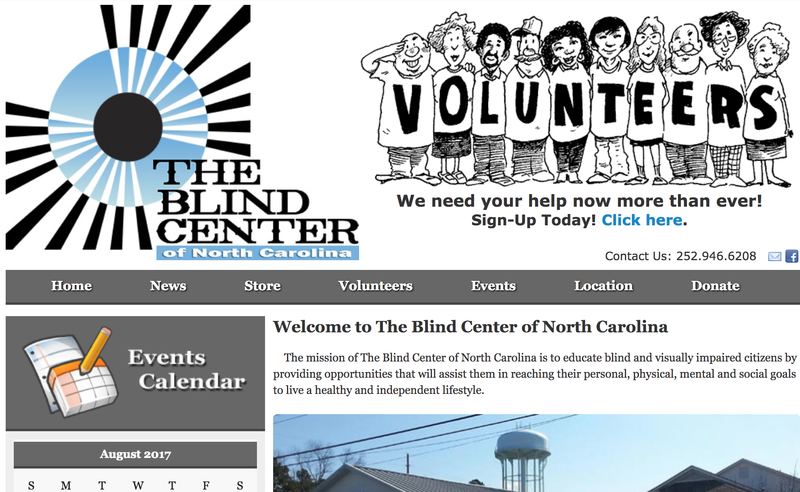 An established non-profit in Washington, NC, The Blind Center wanted a website that better showcases the important work it does for the blind community of Eastern North Carolina. They also wanted a mobile responsive website that they could use to drive fundraising efforts through a usable shopping cart experience. Finally, they wanted to be able to update the site themselves without having to pay for each change to their website. With the launch of their new website, the organization was able to land enough new donations to pay for the cost of its development within the first month. 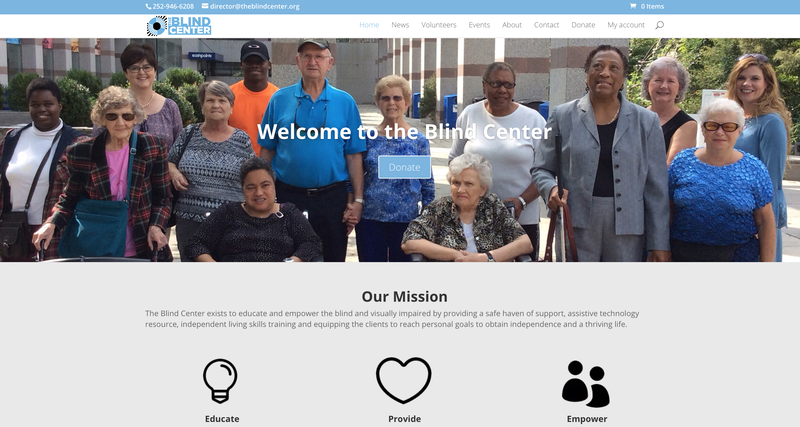 The Blind Center will continue to serve members of the blind community and their families, but can now do so with a website they can be proud of. Non-profits like The Blind Center must increasingly reach their core audiences (funders, volunteers, donors, clients, etc.) online. We’re proud to help non-profits expand their donor and client base through the development of robust websites that can help them reach new audiences online.